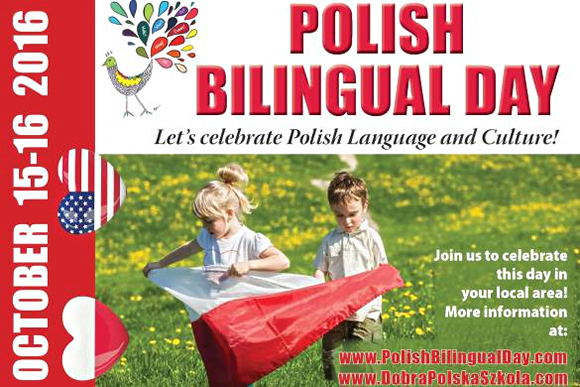 To learn more about Polish Bilingual Day, and whether you could attend an event in your area, please see the Polish Bilingual Day website. 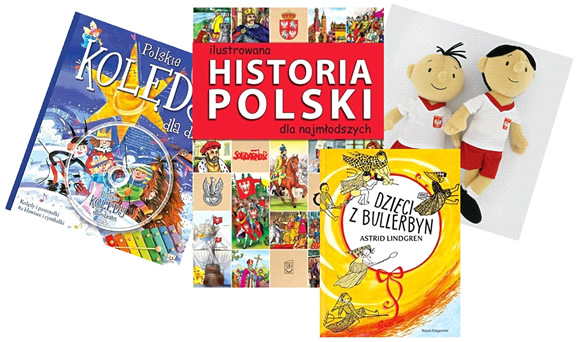 Information is also available on Facebook—simply search for Polish Bilingual Day or Polonijny Dzien Dwujezycznosci. 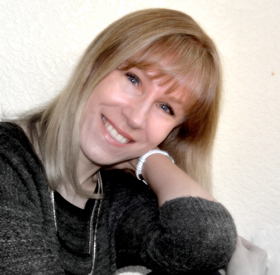 Eliza Sarnacka-Mahoney is a Polish journalist and author, writing about bilingualism at www.DobraPolskaSzkola.com. 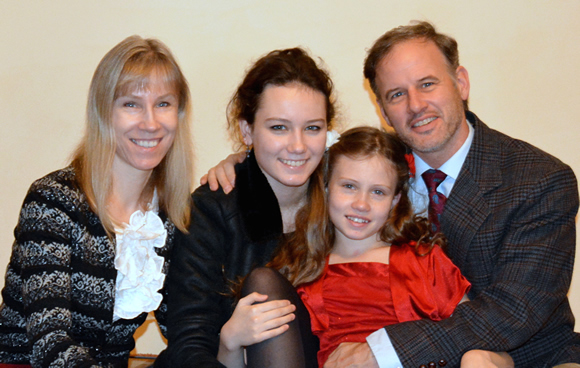 She lives in the U.S. state of Colorado with her American husband and two bilingual daughters, currently 17 and 12. She also serves as a coordinator for the Polish Bilingual Day festival in Denver, Colorado. Summer visits to Poland are an important part of my daughters’ bilingual upbringing. They accelerate and solidify their language skills while allowing for both the language and culture to be experienced in their most natural setting. My Polish friends often ask me for advice on aiding their own children in mastering a second language, which, in their case, is usually English. A few years ago I was spending a week-long vacation at the Baltic seaside with a friend from high school and her family. “I should do what you do and next summer send my daughter to America,” said my friend, whose daughter was 11 at the time. “She could stay with you and would perfect her English if she had the opportunity to use it every day!” My friend seemed very pleased with that vision. My friend didn’t like the idea. I love my friend dearly. We’ve been through a lot and our friendship goes back a long, long way. However, like many people I’ve already met and will, no doubt, still meet in my life, she had LITTLE IDEA what raising bilingual children is all about. She didn’t—and how could she, not having had the experience herself—realize that bilingualism isn’t something you can switch on and off, like a radio or a computer. What is it then? Risking a little chill in our friendship, but not really seeing a good way out, I put on my teacher’s hat. As my little lecture came to an end, it was hard to tell if my friend was convinced, but she dropped the subject and didn’t pursue it again. I, on the other hand, have been coming back to it regularly. That conversation from a few years ago helped me answer the fundamental question of what bilingualism is, in yet another way. What is bilingualism? Bilingualism is an entire way of life. It is a true lifestyle. A library built of books, music, and media in both languages, and each language is cultivated in equal measure—it is a lifestyle. A choice of entertainment in one language or the other, and sometimes in both at the same time—it is a lifestyle. A choice of cuisine, traditions, interests, cultural codes, of drawing attention to the country where we don’t reside, of mindfully enriching our viewpoint based on knowledge obtained from sources in both languages—it is a lifestyle. And finally, a choice of people we keep in touch with and surround ourselves with, people who are likewise bilingual who possess similar sensitivities and experiences and are thus perceived as “truer” soulmates shaped by similar customs, social backgrounds, and history. All this is powerful testimony to the belief that bilingualism is a lifestyle we choose, we work on, and we cherish. How about you? Is bilingualism a way of life for your family, too? See Eliza’s very positive impressions of my book, Maximize Your Child’s Bilingual Ability, in her review at Dobra Polska Szkola (a bilingual review in Polish and English).